This hotel has 10 bedrooms in various configurations so there is sure to be something to suit your needs. Situated in the centre of Tenby very close to all amenities and beaches, this could be just right for you to rest those tired feet. Your hosts do operate the usual min. 2-night policy for bank holidays and Peak Season but say it's always worth a phone call even during peak season as they could be a gap between longer staying guests! 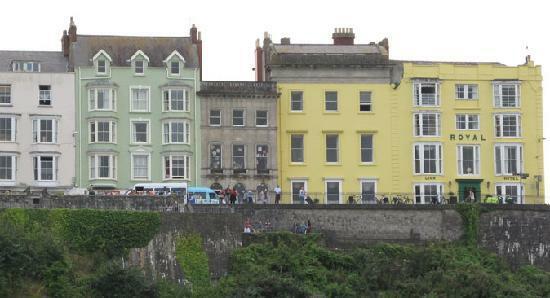 Situated in the centre of Tenby with all the facilities that this ancient town has to offer, Lindholme can offer the walker accommodation for an overnight stay or longer if you wish. Lying just metres from the path, this could be the perfect place for you to rest those weary feet. 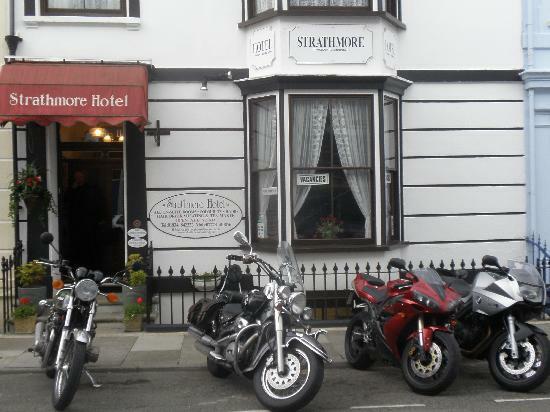 Centrally located in Tenby close to all amenities and eating places, the Strathmore can offer good accomodation for their guests whether you are staying overnight or lingering longer to explore the area. Your hosts do not offer an evening meal or packed lunch as there are so many places nearby to obtain these. At the present time the Strathmore does not operate a minimum stay policy and provided they have the accommodation available, they will take single night bookings. This hotel has 21 bedrooms in various configurations so there is sure to be something that meets you needs. Situated overlooking the path it couldn't be more convenient for the walker. No dogs other than guide dogs accepted. No minimum stay policy operated. Hammonds Park can cater for a variety of party sizes, from singles to groups. Lying very close to the path inTenby, with all that the town has to offer, they are ideally placed to accommodate the walker. Yours hosts do operate a minimum 2 night stay policy during busy times and weekends, but as they sometimes have gaps in their bookings, invite to to call check and if they can accommodate you, they will. Set in it's own grounds, the Cottage Court is but a short walk from the town centre and beaches, so you can easily enjoy the full facilities that the town has to offer. This could be you ideal overnight spot and all you have to do is enjoy yourself and leave the transfer of your belongings to luggage transfers, who will ensure that your luggage reaches your next destination safety and promptly. Most of the individually decorated rooms in this small and intimate hotel offer wonderful sea views. 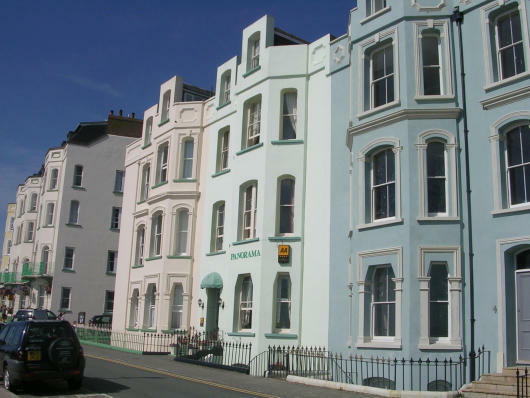 Set right on the Esplanade in the centre of Tenby you would be very well placed to enjoy the full range of facilities offered by this old town. The Panorama could be your ideal overnight stop or a longer stay may be on the cards if you wish to explore the town and surrounding area. This hotel is under new Management since August of last year and your host is determined to exceed the wonderful previous reviews enjoyed by The Panorama. Why not let Luggage Transfers take the burden of your baggage from you? You will then be free to walk with only a day bag and camera. 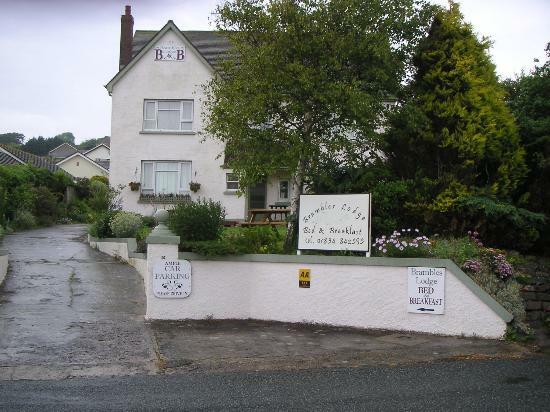 Brambles Lodge is situated approximately one mile outside of the town of Tenby. 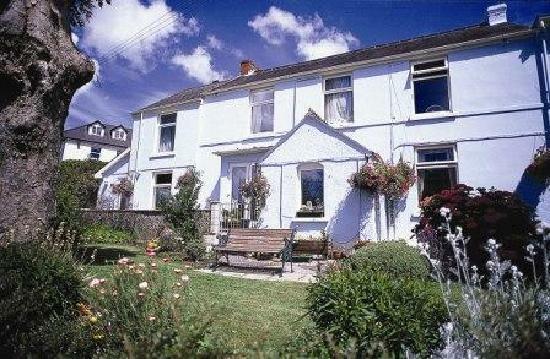 Sitting almost on the coast path this could prove to be a wonderful overnight stop for you. There are two public houses and a restaurant in Penally or if you want to walk or take a taxi into Tenby to enjoy more varied eating experiences you can do that too! Luggage transfers will deal with your luggage, leaving you free to simply enjoy the next stage of your walk. 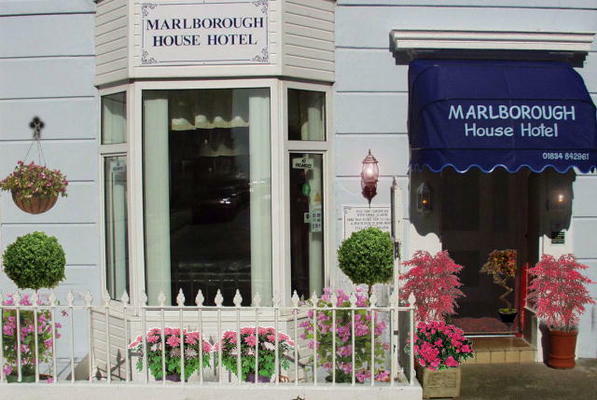 Situated in Tenby and about half a kilometre from the path makes the Marlborough House Hotel an ideal overnight stopover for the weary walker. Being in town means there is a full range of eating establishments to refuel you for tomorrow's walk and you don't have to go far to get to them. This hotel offers you clean and comfortable accommodation and a friendly reception. With luggage transfers to take care of your luggage, all you have to do is carry your day bag and camera! 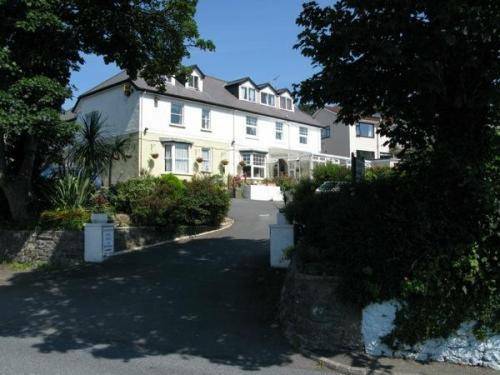 Situated just a couple of minutes walk outside Tenby, Rebleen Guest House is a victorian terraced house offering fine accommodation. There are views over South Beach, Caldey Island and also the golf links. Your hosts would be happy to welcome you for an overnight stay or a longer visit and Luggage Transfers can easily take care of all your bags, leaving you free to simply enjoy an unencumbered walk.